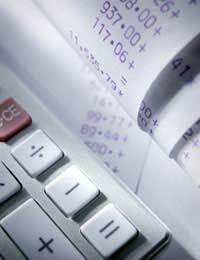 A balance sheet is a way of indicating the financial state of an enterprise at a particular point in time. For an inventor the ‘enterprise’ could be at many different stages, from the earliest experimental prototypes to full production or a licensing deal, but getting into the habit of keeping a balance sheet early on can be a great help in keeping track of your progress (and invaluable when doing a tax self-assessment), and lend a professionalism to your endeavours — you are an entrepreneur rather than just an inventor — which will certainly help when negotiating joint ventures or investment, or applying for grants or loans. As the name suggests, a balance sheet ‘balances’. That is, the assets of the enterprise (what it owns) are equal to the liabilities (what it owes), by definition, since the liabilities include not only actual monies owed to suppliers and so on, but the long-term obligation to the shareholders or owner (in this case, yourself). This may sound strange when doing a ‘personal’ balance sheet for an invention project, but the practice allows the system to scale easily when the enterprise expands. Effectively, what you don’t owe to suppliers or lenders, you owe to yourself, since you are a supplier (of capital). The assets break down into fixed assets and current assets, and each of these is further broken down as will be explained. From an inventor’s point of view, fixed assets include tangibles such as equipment (tools, machinery, computers and so on) which are ‘owned’ by the enterprise, and which will normally have some level of depreciation applied, and intangibles such as the value of your patents, registered designs and other intellectual property. It’s here that one of the first dilemmas arises: how does an inventor put a value on his or her intangibles, since, by their very nature as pre-production concepts, there is no obvious market rate for them. Equally, an inventor does not have the customer goodwill which is a major part of the intangibles of established companies. The most prudent answer is probably to be very conservative and effectively to write off all your R&D expenditure as and when it occurs, thus valuing your intangibles at zero, at least initially. Anything else would simply be guesswork. However, consider what sum you would realistically hope to receive if someone wanted to buy the intellectual property. Current assets are those which are either liquid or easily convertible, such as cash itself (your bank account), materials in a state where they could be re-sold, or stock. Here again, the inventor must decide whether or not prototypes are actually current assets — it might have cost you £10,000 to build your prototypes but no-one is going to pay you that for them (and with some products it may be illegal to sell prototypes which have not been safety tested to retail standards). If you can’t sell the prototypes then they are not stock and are not really current assets other than at a nominal work-in-progress value or scrap value, sad as that may sound. These are divided into current liabilities — those due within the next year — and longer-term liabilities. An inventor will probably have a lot of current liabilities in the form of bills from suppliers and short-term loans and overdrafts; bearing in mind that the balance sheet only records the state of the enterprise on a particular date, the amount of suppliers’ bills unpaid may make a large difference to the current liabilities at that point. A few days later and you might have paid them and the liabilities would be smaller; equally, though, your current assets (cash) would have reduced by the same amount. The system must balance. Longer-term loans and your own capital come under longer-term liabilities. Again, as the system must balance, if your capital ends up as a negative value, this means that you will need to pump more money into the enterprise to keep things going. For most inventors this ‘re-capitalisation’ is part-and-parcel of the process; you are unlikely to put all the money into the business up-front. Overall, using a balance sheet, as a live document initially updated every week or month (perhaps) to record the transition from inventor to entrepreneur, can be very worthwhile, and increases your understanding of business finances, which will certainly be useful as your enterprise progresses.